You are at:Home»English»Life & Arts»Batter Up! 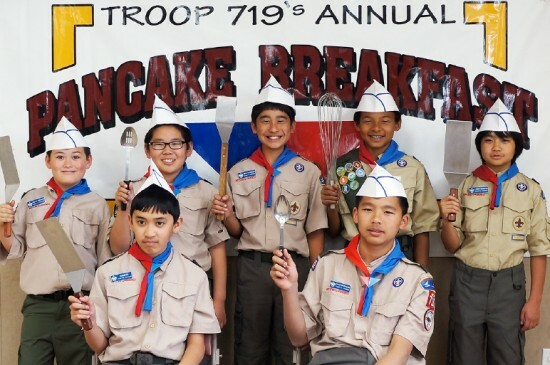 Boy Scout Troop 719 will host its 47th annual Pancake Breakfast from 7 to 11 a.m. on Sunday, April 24, at the Gardena Valley Japanese Cultural Institute, 1964 W. 162nd St., Gardena. Tickets are $6 and proceeds benefit Troop 719 activities. Front row, from left: Giang Do and Christopher Leng. Back row: Timothy Carraher, David Tsukamoto, Kenji Takahashi, Cohen Seward, and Lenny Washiya.